As Hurricane Harvey departs the Texas-Louisiana coast, losing strength as it heads through Appalachia and toward the Northeast, Americans continue to show their profound generosity by assisting the many relief efforts underway to help storm victims. With an estimated 30,000 people seeking shelter, and as many as 450,000 believed to need some form of disaster assistance, it could be years before the affected cities and towns of Texas and southwest Louisiana see a full recovery. 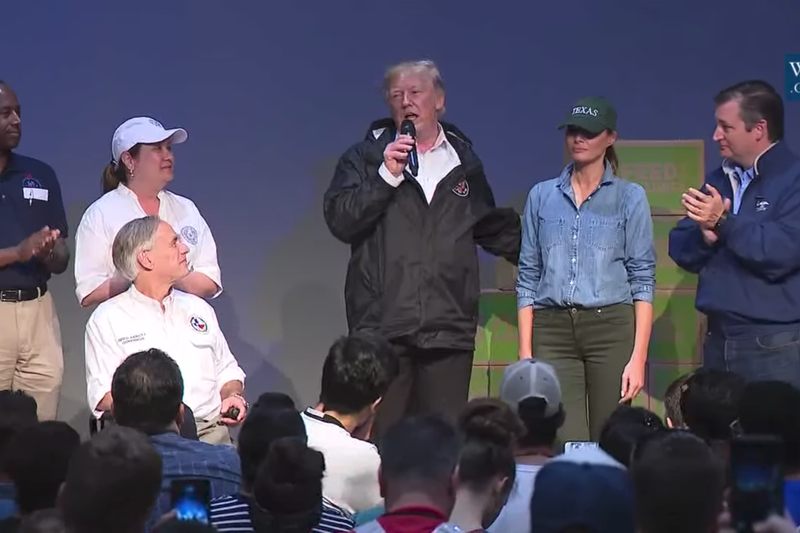 The Trump Administration is preparing an initial disaster relief package of nearly $8 billion. It wants action taken by Congress on that request immediately. That’s only a down payment on what undoubtedly will be an even larger request once the full scope of damage is assessed. Congress should address these needs quickly. Despite the vile and divisive political rhetoric used for years by Texas Republicans against Washington in general and federal spending in particular; despite the nearly $10 billion sitting in Texas’ own Economic Stabilization (aka “Rainy Day”) Fund for purposes exactly like these, but for which Governor Greg Abbott won’t call the Legislature into a special appropriations session; and despite the votes of 27 of 28 Texas Republicans against Hurricane Sandy disaster relief in 2013, now is not the time to deny crucially needed federal aid to the actual human beings suffering in the wake of this natural disaster. In bemoaning the state of our federal deficit, these Republicans seemed conveniently to ignore that in 2001 they inherited a surplus from President Bill Clinton. As a result of the Bush tax cuts, they promptly turned that surplus into a growing deficit. Then, with tax receipts slammed by the Bush-era market crash of 2008, the deficit grew from $642 billion in the last full fiscal year of the Bush Administration to $1.5 trillion in the first fiscal year of the Obama Administration. President Obama’s economic recovery policies cut the deficit over the ensuing eight years of his Administration by well more than half. So while the Texas Republicans and other advocates for spending restraint quoted above may have been worried about trillion-dollar deficits back around the time of Hurricane Sandy, perhaps they should be thanking President Obama if they’re sleeping easier now about loosening the purse strings today for Texas and Louisiana. And perhaps they should be thinking twice before passing another tax cut that balloons the deficit. It’d be nice too if Governor Abbott and his Legislature loosened the strings on that $10 billion rainy day fund, instead of “nationalizing” this disaster as Texas Rep. Hensarling worried about in 2013. Retired political junkie and commentator on things I find inspiring or annoying.